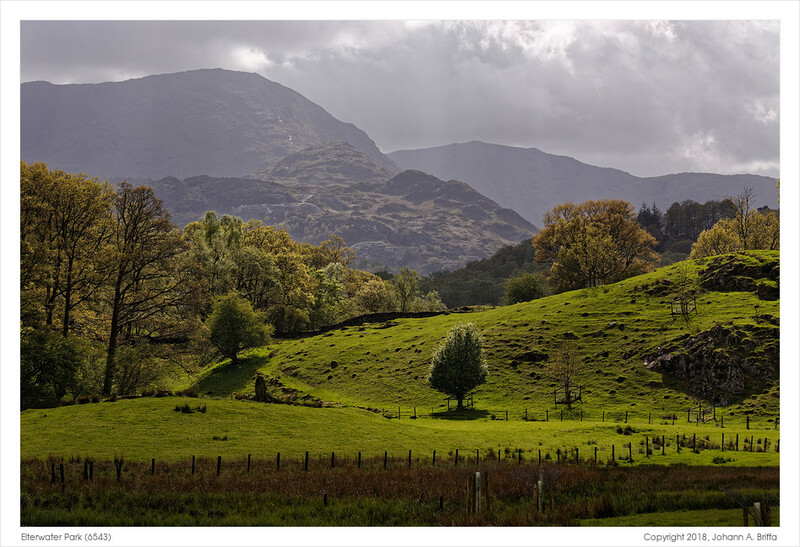 Today I’m sharing another photo from a walk in Elterwater in the English Lake District last year. A stretch of the walk follows a well-maintained path along the Skelwith river. 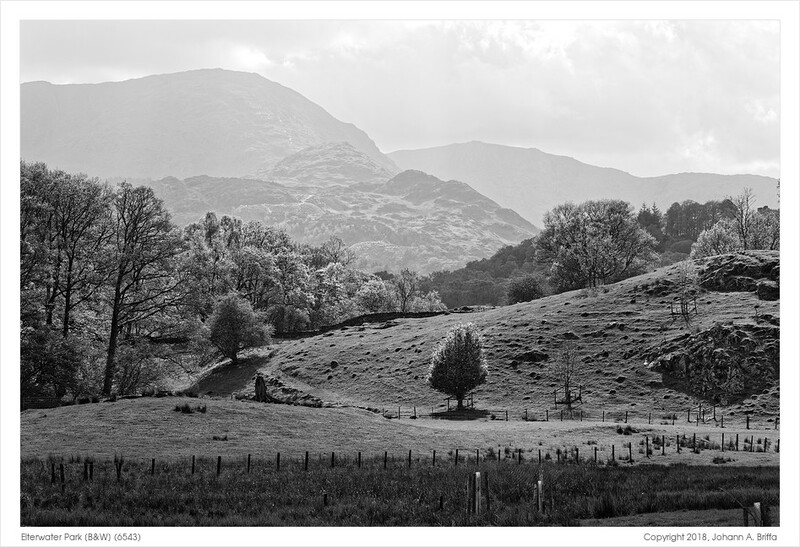 It’s a very enjoyable piece, with an open section of Elterwater park across the river and the fells beyond. Since the path is so well-maintained and level, it’s a popular area with families and visitors of all ages. As with the other photo I shared from this walk, I processed this as a B&W image and also in colour. Perhaps it has something to do with the conditions of the day, or maybe it’s just a reflection of how I felt when I processed these. 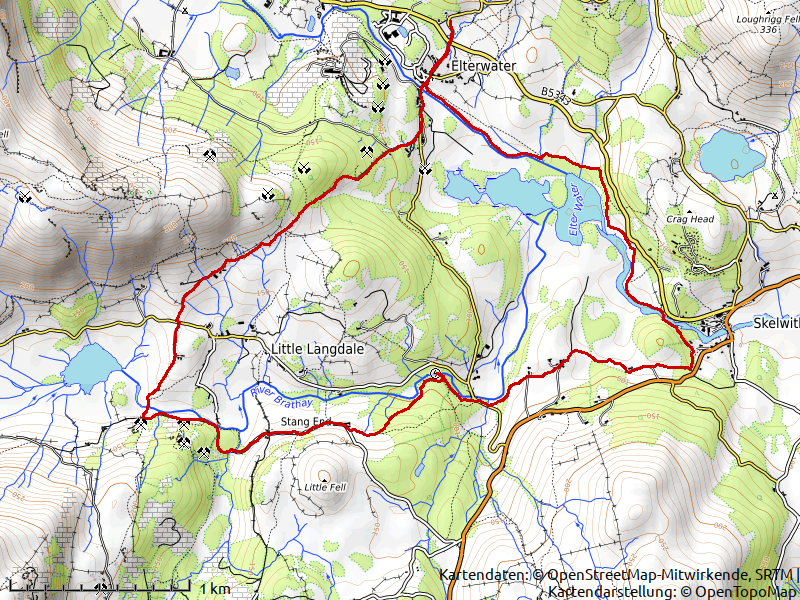 For completeness, I’m also including a map of the walk below. Thanks for the map.It is good to have your superb image in both good old fashioned black and white and colour.Supports my view that black and white has a more striking effect.I tip my hat to the photographer. Thanks! I think I prefer the black and white myself, too.